I’ve covered a lot of puzzle-centric Indiegogo and Kickstarter campaigns here at PuzzleNation Blog, because I think it’s fascinating how many puzzle variants there are, and how many creators are enthusiastically seizing the opportunity to add their own delightful gaming and puzzling twists to the market. For any game enthusiasts out there who have problems organizing or transporting their collection, the crew at Init Gear have you covered with The Gamefolio System 2.0. 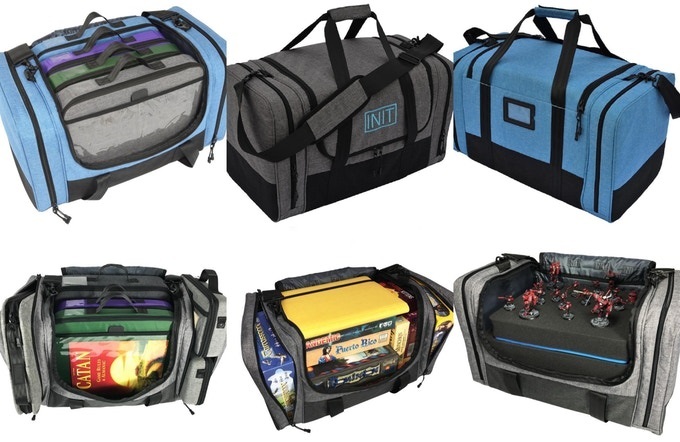 A line of binders, inserts, and duffles designed for all types of card games and board games, this system is all about helping you get the most out of your game collection while keeping it mobile and easy to tote along with you to game nights! You won’t be hefting a bunch of boxes with wasted space. Instead, you can condense your collection into something far more portable. Plus, this project has already surpassed its initial funding goal, so there’s an excellent chance you’ll see your pledges fulfilled in a satisfying and timely fashion. With only a week or so to go to get in on this one, time is of the essence. And speaking of games, if you’re looking for a party game that mixes strategy and socializing, Death of the Party might be right up your alley. A mix of Clue, Mafia, and bluffing games like The Resistance, Death of the Party is all about uncovering the identity of the murderer(s) before you get killed. 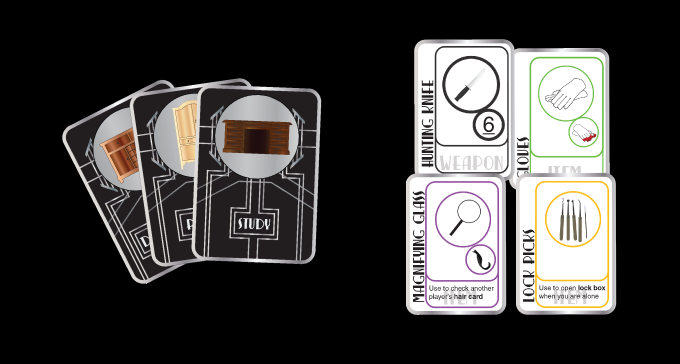 It cleverly melds several established types of gameplay into a card game with a few other bits and bangles. I must admit my bias on this one, since the premise is straight out of one of my all-time favorite movies, the comedic mystery film Murder By Death. Just like in the movie, every character plays a parody of a famous detective, trying to unravel the mystery without getting killed. With almost two weeks left to fund, this one has a good chance of exceeding expectations. If you’re looking for something a bit more puzzly, check out Puzzle Card. 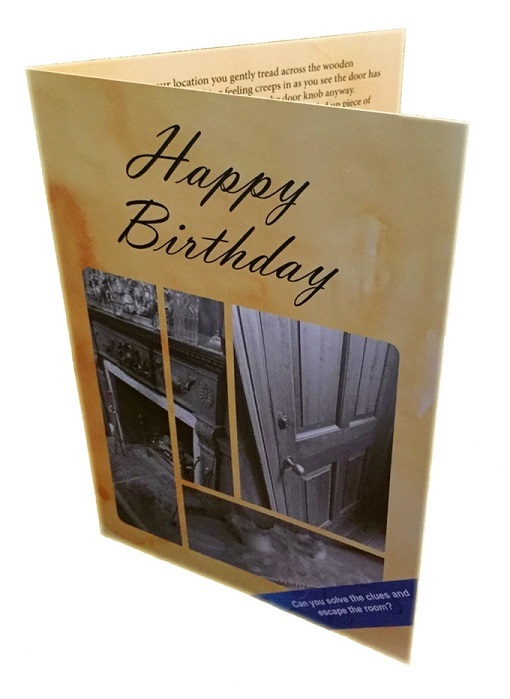 This is an escape room/brain teaser contained entirely within a greeting card. It’s a fascinating concept, but given that there are only a few days left to fund the project — and they only ship to the UK, which hurts interest from puzzlers in other countries — it’s dubious whether this one will fund. Still, it’s a very cool idea. Turning from a puzzly challenge for adults to one for kids, we’ve got Tree Top Hop. 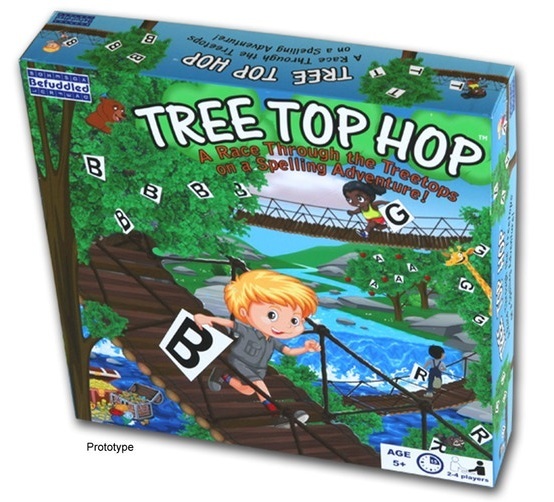 A spelling game for younger solvers, Tree Top Hop has players maneuvering through an elaborate network of trees connected by rope bridges in order to spell out different words. It’s a nice intermediate step for kids to move them beyond simpler board games and into more strategic ones, all while encouraging spelling and other puzzly skills. I had a chance to try out this game at this year’s New York Toy Fair, and I was impressed by the adaptive design and how quickly kids could get into the game play. With nearly a month before its closing date, I suspect this offering from Befuddled Games will do well. 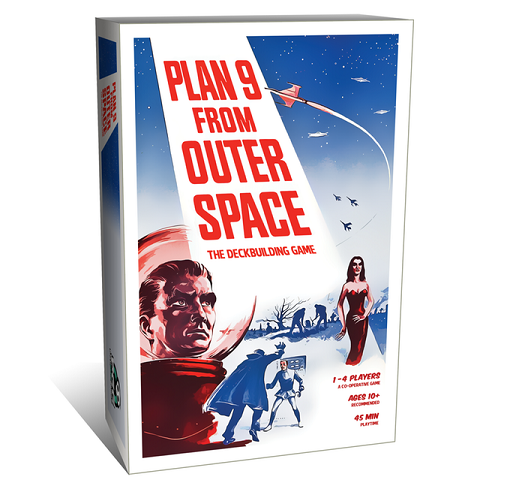 Finally, from the wholly unexpected idea pile, we have Plan 9 From Outer Space: The Deckbuilding Game. Yes, someone has devised a card game based on one of the most infamously awful films in history, Ed Wood’s classic Z-grade alien invasion film. Loaded with screenshots from the film — as well as references to both the plot itself and various in-jokes that have emerged among B-movie fans over the decades — this game puts you in the role of one of the movie’s heroic protagonists. Can you thwart the devious aliens and their undead minions as they try (for the 9th time) to conquer the Earth? With three weeks left to fund, I think this one will squeak across the finish line, depending on the level of fan interest and crossover appeal to gamers. On the puzzly side, there does seem to be a fair amount of strategy to the gameplay itself, though luck will no doubt also play a big role in the cards you draw. Let us know if you end up contributing to any of these campaigns, fellow puzzlers! We’re always interested in what interests you!